Mill Creek Environmental has completed a Phase I Environmental Site Assessment (ESA) of a local mobile home park property located in North Carolina. The Phase I ESA was performed in accordance with the American Society for Testing and Materials (ASTM) Standard Practice E1527-13. 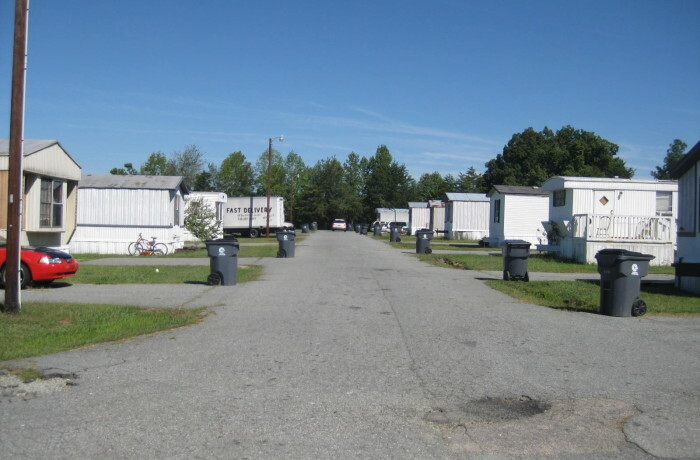 The mobile home park consists of approximately 23 acres with 95 rentable residential tenant spaces in addition to a 250 square-foot office building and a 1000 square-foot maintenance building. The subject property features several asphalt-paved roads throughout the mobile home park. The subject property is served by water, electric, sanitary sewer, and telecommunication utilities. Based upon personal interviews, historic aerial photographs, and tax documentation the subject property was unimproved until construction began on the existing mobile home park in 1988. Development continued until 2000 when construction of the mobile home park was completed. The subject property has been used as a mobile home park since 2000. The subject property was listed in the North Carolina DENR’s SPILLS database due to a sewer spill that occurred in 2014. This incident does not constitute a REC for the subject property. Two (2) off-site properties were also identified during the environmental agency database review; however these listings have a low potential to impact the subject property. Site reconnaissance did not reveal any RECs for the subject property.